Imagine savouring typical Maltese town life. Imagine living in a Penthouse equipped with all modern amenities and finished to high standards. Imagine no more! We are offering you the chance to spend your holiday in Malta in our penthouse in &#379;ebbu&#289;. 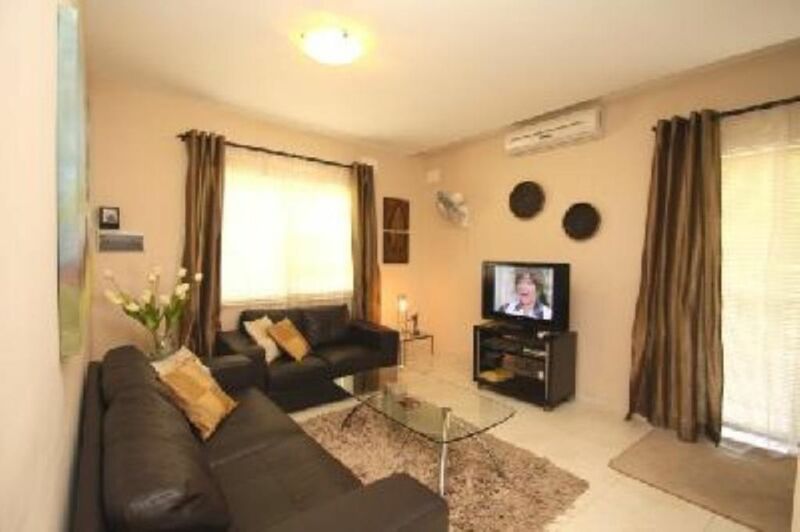 This Penthouse Apartment is licensed by the Malta Tourism Authority and has a Comfort Class Classification. Accomodation comprises living room with air conditioner, TV and DVD player, fully equipped and aircondtioned kitchen with seating for 4 persons, 2 bedrooms with air conditioners,bathroom, ensuite shower, and front and back terraces. KINDLY note that smoking is allowed on the terrace only. Low cost airlines such as Easyjet, Ryanair, Hello and Air Malta fly regularly from most airports in Britain. Budget Airline Vueling flies from Madrid to Malta 3 times a week,Italian airline Volare 4 times a week and airline Norwegian.no 3 times a week. From Malta International airport to the apartment it takes 25 minutes by car. Zebbug is an old town which served as a city during the times of the Knights of St John and is in fact named Citta` de Rohan, after its founder Grand Master de Rohan. It is found in the centre of Malta and its neighbouring villages include Siggiewi, Attard and Rabat. Zebbug consists of an old village core characterised by narrow winding streets and an imposing church set in a large square, as well as more recent developments taking place on the outskirts of the village. The Parish Church is dedicated to Philip of Agira. The name of the town literally means "olives" in Maltese; it derives from the large olive groves that stood in and around the current location of the church and the centre of the town. Haz-Zebbug is an ideal holiday base. Even though the village is not touristic in nature it is within easy reach of all the hotspots which one might like to visit. These include Rabat, which is only 3 km away. In Rabat one can visit Mdina, also known as the silent city and a true gem of Maltese architecture, art and history. In Rabat one might also like to visit the Roman Villa and St. Agatha’s Catacombs. For all those wishing to experience some of Malta’s most breath-taking views then Dingli cliffs is the place to head to and since Dingli village is on the west coast, one can also enjoy a sunset. Attard is 2 km away,here one can visit San Anton Gardens, which form part of the presidential palace.